Methylphenidate (trade names Concerta, Methylin, Medikinet, Ritalin, Equasym XL, Quillivant XR, Metadate) is a central nervous system (CNS) stimulant of the phenethylamine and piperidine classes that is used in the treatment of attention deficit hyperactivity disorder (ADHD) and narcolepsy. Methylphenidate has been studied and researched for over 50 years and has a very good efficacy and safety record for the treatment of ADHD. The original patent was owned by CIBA, now Novartis Corporation. It was first licensed by the U.S. Food and Drug Administration (FDA) in 1955 for treating what was then known as hyperactivity. Prescribed to patients beginning in 1960, the drug has become increasingly prescribed since the 1990s, when the diagnosis of ADHD itself became more widely accepted. Between 2007 and 2012 methylphenidate prescriptions increased by 50% in Britain and in 2013 global methylphenidate consumption increased to 2.4 billion doses, a 66% increase compared to the year before. The US continues to account for more than 80% of global consumption. ADHD and other similar conditions are believed to be linked to sub-performance of the problem solving, planning, etc). Methylphenidate's mechanism of action involves the inhibition of catecholamine reuptake, primarily as a dopamine reuptake inhibitor. Methylphenidate acts by blocking the dopamine transporter and norepinephrine transporter, leading to increased concentrations of dopamine and norepinephrine within the synaptic cleft. This effect in turn leads to increased neurotransmission of dopamine and norepinephrine. Methylphenidate is also a 5HT1A receptor agonist. Methylphenidate is a commonly prescribed psychostimulant and works by increasing the activity of the central nervous system. It produces such effects as increasing or maintaining alertness, combating fatigue, and improving attention. The short-term benefits and cost effectiveness of methylphenidate are well established. Methylphenidate is not approved for children under six years of age. Methylphenidate may also be prescribed for off-label use in treatment-resistant cases of bipolar disorder and major depressive disorder. Meta-analyses and systematic reviews of magnetic resonance imaging studies suggest that long-term treatment with ADHD stimulants (specifically, amphetamine and methylphenidate) decreases abnormalities in brain structure and function found in subjects with ADHD. Moreover, reviews of clinical stimulant research have established the safety and effectiveness of the long-term use of ADHD stimulants for individuals with ADHD. In particular, the continuous treatment effectiveness and safety of both amphetamine and methylphenidate have been demonstrated in controlled drug trials with durations of several years. Methylphenidate is approved by the U.S. Food and Drug Administration (FDA) for the treatment of attention deficit hyperactivity disorder. The addition of behavioural modification therapy (e.g. cognitive behavioral therapy (CBT)) can have additional benefits on treatment outcome. The dosage used can vary quite significantly among individuals with some people responding to quite low doses, whereas others require a higher dose range; consequently, dosage should be titrated to an optimal level that achieves therapeutic benefit and minimal side-effects. Current models of ADHD suggest that it is associated with functional impairments in some of the brain's neurotransmitter systems,[note 1] particularly those involving dopamine and norepinephrine. Psychostimulants like methylphenidate and amphetamine may be effective in treating ADHD because they increase neurotransmitter activity in these systems. Approximately 70% of those who use these stimulants see improvements in ADHD symptoms. Children with ADHD who use stimulant medications generally have better relationships with peers and family members, generally perform better in school, are less distractible and impulsive, and have longer attention spans. People with ADHD have an increased risk of substance use disorders, and stimulant medications reduce this risk. Narcolepsy, a chronic sleep disorder characterized by overwhelming daytime drowsiness and sudden need for sleep, is treated primarily with stimulants. Methylphenidate is considered effective in increasing wakefulness, vigilance, and performance. Methylphenidate improves measures of somnolence on standardized tests, such as the Multiple Sleep Latency Test, but performance does not improve to levels comparable to healthy controls. Methylphenidate may be used in addition to an antidepressant for refractory major depressive disorder. It can also improve depression in several groups including stroke, cancer, and HIV-positive patients. However, the use of stimulants such as methylphenidate in cases of treatment-resistant depression is controversial. Stimulants may have fewer side-effects than tricyclic antidepressants in the elderly and medically ill. In individuals with terminal cancer, methylphenidate can be used to counteract opioid-induced somnolence, to increase the analgesic effects of opioids, to treat depression, and to improve cognitive function. A 2015 meta-analysis of high quality evidence found that therapeutic doses of amphetamine and methylphenidate result in modest improvements in performance on working memory, episodic memory, and inhibitory control tests in normal healthy adults. Methylphenidate and other ADHD stimulants also improve task saliency and increase arousal. Stimulants such as amphetamine and methylphenidate can improve performance on difficult and boring tasks, and are used by some students as a study and test-taking aid. Based upon studies of self-reported illicit stimulant use, performance-enhancing use, rather than use as a recreational drug, is the primary reason that students use stimulants. Excessive doses of methylphenidate, above the therapeutic range, can interfere with working memory and cognitive control. Like amphetamine and bupropion, methylphenidate increases stamina and endurance in humans primarily through reuptake inhibition of dopamine in the central nervous system. Similar to the loss of cognitive enhancement when using large amounts, large doses of methylphenidate can induce side effects that impair athletic performance, such as rhabdomyolysis and hyperthermia. Methylphenidate is sometimes used by students to enhance their mental abilities, improving their concentration and helping them to study. John Harris, an expert in bioethics, has said that it would be unethical to stop healthy people taking the drug. He pointed out the logical non sequitur which would result if people were to draw a parallel between the claims of a university that they could "set out deliberately to improve the mental capacities of its students; suppose its stated aims were to ensure that students left the university more intelligent and learned than when they arrived. Suppose they further claimed that not only could they achieve this but that their students would be more intelligent and mentally alert than any students in history." He then asked the rhetorical question of whether, "if the claims could be sustained, should we be pleased?" He argues that it would be "not rational" and against human enhancement to not use the drug to improve people's cognitive abilities. Anjan Chatterjee however has warned that there is a high potential for abuse and may cause serious adverse effects on the heart, meaning that only people with an illness should take the drug. In the British Medical Journal he wrote that it was premature to endorse the use of Ritalin in this way as the effects of the drug on healthy people have not been studied. Barbara Sahakian has argued that the use of Ritalin in this way may give students an unfair advantage in examinations and that as a result universities may want to discuss making students give urine samples to be tested for the drug. The U.S. FDA gives methylphenidate a pregnancy category of C, and women are advised to only use the drug if the benefits outweigh the potential risks. Not enough animal and human studies have been conducted to conclusively demonstrate an effect of methylphenidate on fetal development. In 2007, empirical literature included 63 cases of prenatal exposure to methylphenidate across three empirical studies. Methylphenidate is generally well tolerated. The most commonly observed adverse effects with a frequency greater than placebo include appetite loss, dry mouth, anxiety/nervousness, nausea, and insomnia. Gastrointestinal adverse effects may include abdominal pain and weight loss. Nervous system adverse effects may include akathisia (agitation/restlessness), irritability, dyskinesia (tics), lethargy (drowsiness/fatigue), and dizziness. Cardiac adverse effects may include palpitations, changes in blood pressure and heart rate (typically mild), and tachycardia (rapid resting heart rate). Ophthalmologic adverse effects may include blurred vision and dry eyes, with less frequent reports of diplopia and mydriasis. Other adverse effects may include depression, emotional lability, confusion, and bruxism. Hyperhidrosis (increased sweating) is common. Chest pain is rarely observed. The symptoms of a moderate acute overdose on methylphenidate primarily arise from central nervous system overstimulation; these symptoms include: vomiting, agitation, tremors, hyperreflexia, muscle twitching, euphoria, confusion, hallucinations, delirium, hyperthermia, sweating, flushing, headache, tachycardia, heart palpitations, cardiac arrhythmias, hypertension, mydriasis, and dryness of mucous membranes. A severe overdose may involve symptoms such as hyperpyrexia, sympathomimetic toxidrome, convulsions, paranoia, stereotypy (a repetitive movement disorder) rapid muscle breakdown, coma, and circulatory collapse. A methylphenidate overdose is rarely fatal with appropriate care. Severe toxic reactions involving abscess and necrosis have been reported following injection of methylphenidate tablets into an artery. Bottom: this illustrates increasing ΔFosB expression from repeated twice daily drug binges, where these phosphorylated (35–37 kD) ΔFosB isoforms persist in mesolimbic dopamine neurons for up to 2 months. Pharmacological texts describe methylphenidate as a stimulant with effects, addiction liability, and dependence liability similar to the amphetamine, a compound with moderate liability among addictive drugs; accordingly, addiction and psychological dependence are possible and likely when methylphenidate is used at high doses as a recreational drug. When used above the medical dose range, stimulants are associated with the development of stimulant psychosis. As with all addictive drugs, the overexpression of ΔFosB in D1-type medium spiny neurons in the nucleus accumbens is implicated in methylphenidate addiction. Methylphenidate has the potential to induce euphoria due to its pharmacodynamic effect (i.e., dopamine reuptake inhibition) in the brain's reward system. At therapeutic doses, ADHD stimulants do not sufficiently activate the reward system, or the reward pathway in particular, to induce persistent ΔFosB gene expression in the D1-type medium spiny neurons of the nucleus accumbens; consequently, when used medically and as directed, methylphenidate use has no capacity to cause an addiction. However, when methylphenidate is used at sufficiently high recreational doses through a bioavailable route of administration (e.g., insufflation or intravenous administration), particularly for use of the drug as a euphoriant, ΔFosB accumulates in the nucleus accumbens. Hence, like any other addictive drug, regular recreational use of methylphenidate at high doses eventually gives rise to ΔFosB overexpression in D1-type neurons which subsequently triggers a series of gene transcription-mediated signaling cascades that induce an addiction. When methylphenidate is coingested with ethanol, a metabolite called ethylphenidate is formed via hepatic transesterification, not unlike the hepatic formation of cocaethylene from cocaine and alcohol. The reduced potency of ethylyphenidate and its minor formation means it does not contribute to the pharmacological profile at therapeutic doses and even in overdose cases ethylphenidate concentrations remain negligible. Methylphenidate primarily acts as a dopamine-norepinephrine reuptake inhibitor (NDRI). It is a benzylpiperidine and phenethylamine derivative which also shares part of its basic structure with catecholamines. Methylphenidate is most active at modulating levels of dopamine and to a lesser extent norepinephrine. Methylphenidate binds to and blocks dopamine transporters and norepinephrine transporters. While both amphetamine and methylphenidate are dopaminergic drugs, it should be noted that their methods of action are distinct. Specifically, methylphenidate is a dopamine reuptake inhibitor while amphetamine is both a releasing agent and reuptake inhibitor of dopamine and norepinephrine. Each of these drugs has a corresponding effect on norepinephrine which is weaker than its effect on dopamine. Methylphenidate's mechanism of action in the release of dopamine and norepinephrine is fundamentally different from most other phenethylamine derivatives, as methylphenidate is thought to increase general firing rate, whereas amphetamine reduces firing rate and reverses the flow of the monoamines via TAAR1 activation. Methylphenidate may protect neurons from the neurotoxic effects of Parkinson's disease and methamphetamine abuse. The dextrorotary enantiomers are significantly more potent than the levorotary enantiomers, and some medications therefore only contain dexmethylphenidate. Methylphenidate has been identified as a sigma-1 receptor agonist. Methylphenidate taken orally has a bioavailability of 11–52% with a duration of peak action around 2–4 hours for instant release (i.e. Ritalin), 3–8 hours for sustained release (i.e. Ritalin SR), and 8–12 hours for extended release (i.e. Concerta). The half-life of methylphenidate is 2–3 hours, depending on the individual. The peak plasma time is achieved at about 2 hours. d-Methylphenidate is much more bioavailable than l-methylphenidate when administered orally, and is primarily responsible for the psychoactivity of racemic methylphenidate. Four isomers of methylphenidate are possible, since the molecule has two chiral centers. One pair of threo isomers and one pair of erythro are distinguished, from which only d-threo-methylphenidate exhibits the pharmacologically usually desired effects. When the drug was first introduced it was sold as a 3:1 mixture of erythro:threo diastereomers. The erythro diastereomers are also pressor amines. "TMP" is referring only to the threo product that does not contain any erythro diastereomers. Since the threo isomers are energetically favored, it is easy to epimerize out any of the undesired erythro isomers. The drug that contains only dextrorotary methylphenidate is called d-TMP. A review on the synthesis of enantiomerically pure (2R,2'R)-(+)-threo-methylphenidate hydrochloride has been published. Methylphenidate was first synthesized in 1944, and was identified as a stimulant in 1954. Methylphenidate was synthesized by Ciba (now Novartis) chemist Leandro Panizzon. His wife, Marguerite, had low blood pressure and would take the drug as a stimulant before playing tennis. He named the substance Ritaline, after his wife's nickname, Rita. Methylphenidate was first used to allay barbiturate-induced coma, narcolepsy and depression. It was later used to treat memory deficits in the elderly. Beginning in the 1960s, it was used to treat children with ADHD or ADD, known at the time as hyperactivity or minimal brain dysfunction (MBD) based on earlier work starting with the studies by American psychiatrist Charles Bradley on the use of psychostimulant drugs, such as benzedrine, with then called "maladjusted children". Production and prescription of methylphenidate rose significantly in the 1990s, especially in the United States, as the ADHD diagnosis came to be better understood and more generally accepted within the medical and mental health communities. 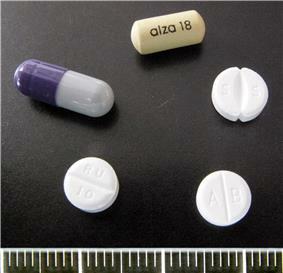 In 2000 ALZA Corporation received U.S. Food and Drug Administration (FDA) approval to market "Concerta", an extended-release form of methylphenidate. See the "Extended-release" section of this article, below, for more information about Concerta. In the United Kingdom, methylphenidate is a controlled 'Class B' substance. Possession without prescription carries with a sentence up to 5 years and/or an unlimited fine, and supplying it is 14 years and/or an unlimited fine. 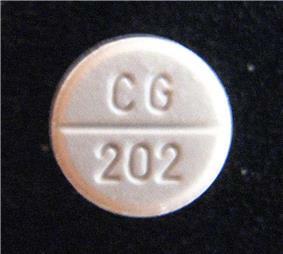 In Canada, methylphenidate is listed in Schedule III of the Controlled Drugs and Substances Act (along with LSD, psychedelic mushrooms, and mescaline, among others), and is illegal to possess without a prescription, pursuant to Part G (section G.01.002) of the Food and Drug Regulations under the Food and Drugs Act. In New Zealand, methylphenidate is a 'class B2 controlled substance'. Unlawful possession is punishable by six-month prison sentence and distribution of it is punishable by a 14-year sentence. In Australia, methylphenidate is a 'Schedule 8' controlled substance. Such drugs must be kept in a lockable safe before being handed out and possession without prescription carries hefty fines and even imprisonment. Methylphenidate is produced in the United States, Mexico, Spain, Sweden, Pakistan, and India. Ritalin is also sold in Canada, Australia, the United Kingdom, Spain, Germany and other European countries (although in much lower volumes than in the United States). Other brands include Concerta, Methylin, and Daytrana, and generic forms, including Methylin, Metadate, Phenida and Attenta are produced by numerous pharmaceutical companies throughout the world. In Belgium the product is sold under the name Rilatine and in Brazil, Portugal and Argentina as Ritalina. In Thailand, it is found under the name Hynidate. In India, it is found under the names Addwize and Inspiral SR. The dextrorotary enantiomer of methylphenidate, known as dexmethylphenidate, is sold as a generic and under the brand names Focalin and Attenade. Clockwise from top: Concerta 18 mg (OROS), Medikinet 5 mg, Methylphenidat TAD 10 mg, Ritalin 10 mg (immediate release tablets), Medikinet XL 30 mg (CR capsule). Methylphenidate is available in numerous forms, a doctor will prescribe the appropriate method based on patient feedback and product availability. Current available forms are tablet, capsule, adhesive-based matrix transdermal system (patch), and oral suspension (liquid syrup). A formulation by the Novartis trademark name Ritalin, is an immediate-release racemic mixture, although a variety of formulations and generic brand names exist. Generic brand names include Ritalina, Rilatine, Attenta, Medikinet, Metadate, Methylin, Penid, Tranquilyn and Rubifen. Some other branded extended-release medications include Equasym XL, Medikinet XL, Biphentin, and Rubifen SR.
Ritalin LA capsules are marked with the letters "NVR" (abbrev. : Novartis) and followed by: "R20", "R30", or "R40", depending on the (mg) dosage strength. Both Ritalin LA and Equasym XL provide two standard doses – half the total dose being released immediately and the other half released four hours later. In total, each capsule is effective for about eight hours. Metadate CD capsules contain two types of beads; 30% of the beads are immediate release, and the other 70% of the beads are evenly sustained release. Quillivant XR (brand name) is an extended-release oral suspension (after reconstitution with water): 25 mg per 5 mL (5 mg per mL). It was designed and is patented and made by Pfizer. The medication comes in various sizes from 60ml to 180ml (after reconstitution). Each bottle is shipped with the medication in powder form containing roughly 20% instant-release and 80% extended-release methylphenidate, to which water must be added by the pharmacist in an amount corresponding with the total intended volume of the bottle. The bottle must be shaken vigorously for ten seconds prior to administration via included oral syringe to ensure proper ratio. Methylphenidate has been the subject of controversy in relation to its use in the treatment of ADHD. One such criticism is prescribing psychostimulants medication to children to reduce ADHD symptoms. The contention that methylphenidate acts as a gateway drug has been discredited by multiple sources, according to which abuse is statistically very low and "stimulant therapy in childhood does not increase the risk for subsequent drug and alcohol abuse disorders later in life". A study found that ADHD medication was not associated with increased risk of cigarette use, and in fact stimulant treatments such as Ritalin seemed to lower this risk. Treatment of ADHD by way of methylphenidate has led to legal actions including malpractice suits regarding informed consent, inadequate information on side effects, misdiagnosis, and coercive use of medications by school systems. In the U.S. and the United Kingdom, it is approved for use in children and adolescents. In the U.S., the Food and Drug Administration approved the use of methylphenidate in 2008 for use in treating adult ADHD. In the United Kingdom, while not licensed for use in Adult ADHD, NICE guidelines suggest it be prescribed off-license for the condition. Methylphenidate has been approved for adult use in the treatment of narcolepsy. ^ This involves impaired dopamine neurotransmission in the mesocortical and mesolimbic pathways and norepinephrine neurotransmission in the prefrontal cortex and locus coeruleus. ^ a b c Kimko, HC; Cross, JT; Abernethy, DR (December 1999). "Pharmacokinetics and clinical effectiveness of methylphenidate.". Clinical pharmacokinetics 37 (6): 457–70. ^ a b "Chemical and Physical Properties". Methylphenidate. Pubchem Compound. National Center for Biotechnology Information. Retrieved 24 June 2014. ^ Markowitz JS, Straughn AB, Patrick KS (2003). "Advances in the pharmacotherapy of attention-deficit-hyperactivity disorder: focus on methylphenidate formulations". Pharmacotherapy 23 (10): 1281–99. ^ Diller, Lawrence (1999). Running on Ritalin. ^ Lange KW, Reichl S, Lange KM, Tucha L, Tucha O (2010). "The history of attention deficit hyperactivity disorder". ADHD Attention Deficit and Hyperactivity Disorders 2 (4): 241–55. ^ Arnsten AF, Li BM (2005). "Neurobiology of Executive Functions: Catecholamine Influences on Prefrontal Cortical Functions". Biological Psychiatry 57 (11): 1377–84. ^ "The psychostimulant d-threo-(R,R)-methylphenidate binds as an agonist to the 5HT(1A) receptor.". Pharmazie 64: 123–5. Feb 2009. ^ a b Markowitz JS, Logan BK, Diamond F, Patrick KS (1999). "Detection of the novel metabolite ethylphenidate after methylphenidate overdose with alcohol coingestion". Journal of Clinical Psychopharmacology 19 (4): 362–6. ^ Steele M, Weiss M, Swanson J, Wang J, Prinzo RS, Binder CE (2006). "A randomized, controlled effectiveness trial of OROS-methylphenidate compared to usual care with immediate-release methylphenidate in attention deficit-hyperactivity disorder" (PDF). Can J Clin Pharmacol 13 (1): e50–62. ^ Gilmore A, Milne R (2001). "Methylphenidate in children with hyperactivity: review and cost-utility analysis". Pharmacoepidemiol Drug Saf 10 (2): 85–94. ^ Mott TF, Leach L, Johnson L (2004). "Clinical inquiries. Is methylphenidate useful for treating adolescents with ADHD?". The Journal of Family Practice 53 (8): 659–61. ^ Vitiello B (2001). "Psychopharmacology for young children: clinical needs and research opportunities". Pediatrics 108 (4): 983–9. ^ Hermens DF, Rowe DL, Gordon E, Williams LM (2006). "Integrative neuroscience approach to predict ADHD stimulant response". Expert Review of Neurotherapeutics 6 (5): 753–63. ^ Bernardo Dell’Osso, Cristina Dobrea, Laura Cremaschi, Chiara Arici, A. Carlo Altamura (2014). "Wake-Promoting Pharmacotherapy for Psychiatric Disorders". Current Psychiatry Reports 16 (12): 524. ^ Hart H, Radua J, Nakao T, Mataix-Cols D, Rubia K (February 2013). "Meta-analysis of functional magnetic resonance imaging studies of inhibition and attention in attention-deficit/hyperactivity disorder: exploring task-specific, stimulant medication, and age effects". JAMA Psychiatry 70 (2): 185–198. ^ Spencer TJ, Brown A, Seidman LJ, Valera EM, Makris N, Lomedico A, Faraone SV, Biederman J (September 2013). "Effect of psychostimulants on brain structure and function in ADHD: a qualitative literature review of magnetic resonance imaging-based neuroimaging studies". J. Clin. Psychiatry 74 (9): 902–917. ^ Frodl T, Skokauskas N (February 2012). "Meta-analysis of structural MRI studies in children and adults with attention deficit hyperactivity disorder indicates treatment effects.". Acta psychiatrica Scand. 125 (2): 114–126. ^ a b c Millichap, JG (2010). "Chapter 3: Medications for ADHD". In Millichap, JG. Attention Deficit Hyperactivity Disorder Handbook: A Physician's Guide to ADHD (2nd ed.). New York: Springer. pp. 111–113. ^ a b Huang YS, Tsai MH (July 2011). "Long-term outcomes with medications for attention-deficit hyperactivity disorder: current status of knowledge". CNS Drugs 25 (7): 539–554. ^ Millichap, JG (2010). "Chapter 3: Medications for ADHD". In Millichap, JG. Attention Deficit Hyperactivity Disorder Handbook: A Physician's Guide to ADHD (2nd ed.). New York: Springer. pp. 121–123. ^ Fone KC, Nutt DJ (2005). "Stimulants: use and abuse in the treatment of ADD". Current Opinion in Pharmacology 5 (1): 87–93. ^ Capp PK, Pearl PL, Conlon C (2005). "Methylphenidate HCl: therapy for attention deficit hyperactivity disorder". Expert Rev Neurother 5 (3): 325–31. ^ Greenfield B, Hechman L (2005). "Treatment of attention deficit hyperactivity disorder in adults". Expert Rev Neurother 5 (1): 107–21. ^ Stevenson RD, Wolraich ML (1989). "Stimulant medication therapy in the treatment of children with attention deficit hyperactivity disorder". Pediatr. Clin. North Am. 36 (5): 1183–97. ^ a b c Malenka RC, Nestler EJ, Hyman SE (2009). "Chapter 6: Widely Projecting Systems: Monoamines, Acetylcholine, and Orexin". In Sydor A, Brown RY. Molecular Neuropharmacology: A Foundation for Clinical Neuroscience (2nd ed.). New York: McGraw-Hill Medical. pp. 154–157. ^ Greenhill LL, Pliszka S, Dulcan MK, Bernet W, Arnold V, Beitchman J, Benson RS, Bukstein O, Kinlan J, McClellan J, Rue D, Shaw JA, Stock S (February 2002). "Practice parameter for the use of stimulant medications in the treatment of children, adolescents, and adults". J. Am. Acad. Child Adolesc. Psychiatry 41 (2 Suppl): 26S–49S. ^ Faraone SV, Wilens TE (2007). "Effect of stimulant medications for attention-deficit/hyperactivity disorder on later substance use and the potential for stimulant misuse, abuse, and diversion". J Clin Psychiatry. 68 Suppl 11: 15–22. ^ Wilens TE, Faraone SV, Biederman J, Gunawardene S (2003). "Does Stimulant Therapy of Attention-Deficit/Hyperactivity Disorder Beget Later Substance Abuse? A Meta-analytic Review of the Literature". Pediatrics 111 (1): 179–85. ^ Fry JM (1998). "Treatment modalities for narcolepsy". Neurology 50 (2 Suppl 1): S43–8. ^ Mitler MM (1994). "Evaluation of treatment with stimulants in narcolepsy". Sleep 17 (8 Suppl): S103–6. ^ Leonard BE, McCartan D, White J, King DJ (2004). "Methylphenidate: a review of its neuropharmacological, neuropsychological and adverse clinical effects". Hum Psychopharmacol 19 (3): 151–80. ^ Kraus MF, Burch EA (1992). "Methylphenidate hydrochloride as an antidepressant: controversy, case studies, and review". South. Med. J. 85 (10): 985–91. ^ Satel SL, Nelson JC (1989). "Stimulants in the treatment of depression: a critical overview". J Clin Psychiatry 50 (7): 241–9. ^ Rozans M, Dreisbach A, Lertora JJ, Kahn MJ (2002). "Palliative uses of methylphenidate in patients with cancer: a review". J. Clin. Oncol. 20 (1): 335–9. ^ Ilieva IP, Hook CJ, Farah MJ (January 2015). "Prescription Stimulants' Effects on Healthy Inhibitory Control, Working Memory, and Episodic Memory: A Meta-analysis". J. Cogn. Neurosci. : 1–21. PMID 25591060. doi:10.1162/jocn_a_00776. ^ a b c Malenka RC, Nestler EJ, Hyman SE (2009). "Chapter 13: Higher Cognitive Function and Behavioral Control". In Sydor A, Brown RY. Molecular Neuropharmacology: A Foundation for Clinical Neuroscience (2nd ed.). New York: McGraw-Hill Medical. p. 318. ^ a b c Wood S, Sage JR, Shuman T, Anagnostaras SG (January 2014). "Psychostimulants and cognition: a continuum of behavioral and cognitive activation". Pharmacol. Rev. 66 (1): 193–221. ^ Teter CJ, McCabe SE, LaGrange K, Cranford JA, Boyd CJ (October 2006). "Illicit use of specific prescription stimulants among college students: prevalence, motives, and routes of administration". Pharmacotherapy 26 (10): 1501–1510. ^ Roelands B, de Koning J, Foster C, Hettinga F, Meeusen R (May 2013). "Neurophysiological determinants of theoretical concepts and mechanisms involved in pacing". Sports Med. 43 (5): 301–311. ^ Harris J (2009). "Is it acceptable for people to take methylphenidate to enhance performance? Yes". ^ Chatterjee A (2009). "Is it acceptable for people to take methylphenidate to enhance performance? No". 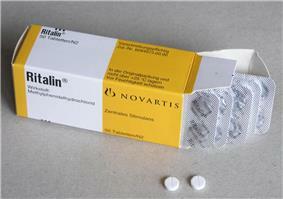 ^ "Ritalin backed as brain-booster". BBC News. 19 June 2009. Retrieved 21 February 2010. ^ Davies, Caroline (21 February 2010). "Universities told to consider dope tests as student use of 'smart drugs' soars". ^ Humphreys C, Garcia-Bournissen F, Ito S, Koren G (2007). "Exposure to attention deficit hyperactivity disorder medications during pregnancy". Canadian Family Physician 53 (7): 1153–5. ^ Didoni, A; Sequi, M; Panei, P; Bonati, M; Lombardy ADHD Registry, Group (October 2011). "One-year prospective follow-up of pharmacological treatment in children with attention-deficit/hyperactivity disorder.". European journal of clinical pharmacology 67 (10): 1061–7. ^ "Ritalin Side Effects". Retrieved 22 June 2015. ^ "Biphentin product monograph" (PDF). Purdue Pharma. Retrieved 22 June 2015. ^ a b "Concerta product monograph" (PDF). Janssen Pharmaceuticals. Retrieved 22 June 2015. ^ Huss, M; Ginsberg, Y; Tvedten, T; Arngrim, T; Philipsen, A; Carter, K; Chen, CW; Kumar, V (January 2014). "Methylphenidate hydrochloride modified-release in adults with attention deficit hyperactivity disorder: a randomized double-blind placebo-controlled trial.". Advances in therapy 31 (1): 44–65. ^ Jaanus SD (1992). "Ocular side-effects of selected systemic drugs". Optom Clin 2 (4): 73–96. ^ a b Cortese, S; Holtmann, M; Banaschewski, T; Buitelaar, J; Coghill, D; Danckaerts, M; Dittmann, RW; Graham, J; Taylor, E; Sergeant, J; European ADHD Guidelines, Group (March 2013). "Practitioner review: current best practice in the management of adverse events during treatment with ADHD medications in children and adolescents.". Journal of child psychology and psychiatry, and allied disciplines 54 (3): 227–46. ^ Findling, RL; Dinh, S (March 2014). "Transdermal therapy for attention-deficit hyperactivity disorder with the methylphenidate patch (MTS).". CNS Drugs 28 (3): 217–28. ^ Kraemer M, Uekermann J, Wiltfang J, Kis B (July 2010). "Methylphenidate-induced psychosis in adult attention-deficit/hyperactivity disorder: report of 3 new cases and review of the literature". Clin Neuropharmacol 33 (4): 204–6. ^ Wingo, AP; Ghaemi, SN (2008). "Frequency of stimulant treatment and of stimulant-associated mania/hypomania in bipolar disorder patients.". Psychopharmacology bulletin 41 (4): 37–47. ^ "Methylphenidate ADHD Medications: Drug Safety Communication – Risk of Long-lasting Erections". ^ Cooper WO, Habel LA, Sox CM, Chan KA, Arbogast PG, Cheetham TC, Murray KT, Quinn VP, Stein CM, Callahan ST, Fireman BH, Fish FA, Kirshner HS, O'Duffy A, Connell FA, Ray WA (November 2011). "ADHD drugs and serious cardiovascular events in children and young adults". N. Engl. J. Med. 365 (20): 1896–1904. ^ "FDA Drug Safety Communication: Safety Review Update of Medications used to treat Attention-Deficit/Hyperactivity Disorder (ADHD) in adults". United States Food and Drug Administration. 15 December 2011. Retrieved 4 November 2013. ^ Habel LA, Cooper WO, Sox CM, Chan KA, Fireman BH, Arbogast PG, Cheetham TC, Quinn VP, Dublin S, Boudreau DM, Andrade SE, Pawloski PA, Raebel MA, Smith DH, Achacoso N, Uratsu C, Go AS, Sidney S, Nguyen-Huynh MN, Ray WA, Selby JV (December 2011). "ADHD medications and risk of serious cardiovascular events in young and middle-aged adults". JAMA 306 (24): 2673–2683. ^ Gordon N (1999). "Attention deficit hyperactivity disorder: possible causes and treatment". Int. J. Clin. Pract. 53 (7): 524–8. ^ a b c Spiller HA, Hays HL, Aleguas A (June 2013). "Overdose of drugs for attention-deficit hyperactivity disorder: clinical presentation, mechanisms of toxicity, and management". CNS Drugs 27 (7): 531–543. ^ Bruggisser M, Bodmer M, Liechti ME (2011). "Severe toxicity due to injected but not oral or nasal abuse of methylphenidate tablets". Swiss Med Wkly 141: w13267. ^ Nestler EJ, Barrot M, Self DW (September 2001). "DeltaFosB: a sustained molecular switch for addiction". Proc. Natl. Acad. Sci. U.S.A. 98 (20): 11042–11046. ^ Nestler EJ (December 2012). "Transcriptional mechanisms of drug addiction". Clin. Psychopharmacol. Neurosci. 10 (3): 136–143. ^ Morton WA, Stockton GG (2000). "Methylphenidate Abuse and Psychiatric Side Effects". Prim Care Companion J Clin Psychiatry 2 (5): 159–164. ^ a b c d e Malenka RC, Nestler EJ, Hyman SE (2009). "Chapter 15: Reinforcement and Addictive Disorders". In Sydor A, Brown RY. Molecular Neuropharmacology: A Foundation for Clinical Neuroscience (2nd ed.). New York: McGraw-Hill Medical. p. 368. ^ a b Steiner H, Van Waes V (January 2013). "Addiction-related gene regulation: risks of exposure to cognitive enhancers vs. other psychostimulants". Prog. Neurobiol. 100: 60–80. ^ Auger RR, Goodman SH, Silber MH, Krahn LE, Pankratz VS, Slocumb NL (2005). "Risks of high-dose stimulants in the treatment of disorders of excessive somnolence: a case-control study". Sleep 28 (6): 667–72. ^ a b c d e f Kim Y, Teylan MA, Baron M, Sands A, Nairn AC, Greengard P (2009). "Methylphenidate-induced dendritic spine formation and DeltaFosB expression in nucleus accumbens". Proc. Natl. Acad. Sci. U.S.A. 106 (8): 2915–20. ^ Elkashef A, Vocci F, Hanson G, White J, Wickes W, Tiihonen J (2008). "Pharmacotherapy of methamphetamine addiction: an update". Substance Abuse 29 (3): 31–49. ^ Grabowski J, Roache JD, Schmitz JM, Rhoades H, Creson D, Korszun A (1997). "Replacement medication for cocaine dependence: methylphenidate". J Clin Psychopharmacol 17 (6): 485–8. ^ Gorelick DA, Gardner EL, Xi ZX (2004). "Agents in development for the management of cocaine abuse". Drugs 64 (14): 1547–73. ^ Karila L, Gorelick D, Weinstein A, Noble F, Benyamina A, Coscas S, Blecha L, Lowenstein W, Martinot JL, Reynaud M, Lépine JP (2008). "New treatments for cocaine dependence: a focused review". Int. J. Neuropsychopharmacol. 11 (3): 425–38. ^ "NIDA InfoFacts: Understanding Drug Abuse and Addiction" (PDF). 2008. ^ Shearer J (2008). "The principles of agonist pharmacotherapy for psychostimulant dependence". Drug Alcohol Rev 27 (3): 301–8. ^ a b c Nestler EJ (December 2013). "Cellular basis of memory for addiction". Dialogues Clin. Neurosci. 15 (4): 431–443. ^ Ruffle JK (November 2014). "Molecular neurobiology of addiction: what's all the (Δ)FosB about?". Am J Drug Alcohol Abuse 40 (6): 428–437. PMID 25083822. doi:10.3109/00952990.2014.933840. ^ Biliński P, Wojtyła A, Kapka-Skrzypczak L, Chwedorowicz R, Cyranka M, Studziński T (2012). "Epigenetic regulation in drug addiction". Ann. Agric. Environ. Med. 19 (3): 491–496. ^ Robison AJ, Nestler EJ (November 2011). "Transcriptional and epigenetic mechanisms of addiction". Nat. Rev. Neurosci. 12 (11): 623–637. ^ Ishii, M; Tatsuzawa, Y; Yoshino, A; Nomura, S (April 2008). "Serotonin syndrome induced by augmentation of SSRI with methylphenidate.". Psychiatry and clinical neurosciences 62 (2): 246. ^ Türkoğlu, S (2015). "Serotonin syndrome with sertraline and methylphenidate in an adolescent.". Clinical neuropharmacology 38 (2): 65–6. ^ Park, YM; Jung, YK (30 May 2010). "Manic switch and serotonin syndrome induced by augmentation of paroxetine with methylphenidate in a patient with major depression.". Progress in neuro-psychopharmacology & biological psychiatry 34 (4): 719–20. ^ Bodner, RA; Lynch, T; Lewis, L; Kahn, D (February 1995). "Serotonin syndrome.". Neurology 45 (2): 219–23. ^ Patrick KS, González MA, Straughn AB, Markowitz JS (2005). "New methylphenidate formulations for the treatment of attention-deficit/hyperactivity disorder". Expert Opinion on Drug Delivery 2 (1): 121–43. ^ Markowitz JS, DeVane CL, Boulton DW, Nahas Z, Risch SC, Diamond F, Patrick KS (2000). "Ethylphenidate formation in human subjects after the administration of a single dose of methylphenidate and ethanol". Drug Metabolism and Disposition 28 (6): 620–4. ^ Markowitz JS, DeVane CL, Boulton DW, Nahas Z, Risch SC, Diamond F, Patrick KS (2000). "Ethylphenidate formation in human subjects after the administration of a single dose of methylphenidate and ethanol". Drug metabolism and disposition: the biological fate of chemicals 28 (6): 620–4. ^ Patrick KS, Straughn AB, Minhinnett RR, Yeatts SD, Herrin AE, DeVane CL, Malcolm R, Janis GC, Markowitz JS (March 2007). "Influence of ethanol and gender on methylphenidate pharmacokinetics and pharmacodynamics.". Clinical pharmacology and therapeutics 81 (3): 346–53. ^ Roberts SM, DeMott RP, James RC (1997). "Adrenergic modulation of hepatotoxicity". Drug Metab. Rev. 29 (1–2): 329–53. ^ Markowitz, JS; Patrick, KS (June 2008). "Differential pharmacokinetics and pharmacodynamics of methylphenidate enantiomers: does chirality matter?". Journal of clinical psychopharmacology 28 (3 Suppl 2): S54–61. ^ Williard, RL; Middaugh, LD; Zhu, HJ; Patrick, KS (February 2007). "Methylphenidate and its ethanol transesterification metabolite ethylphenidate: brain disposition, monoamine transporters and motor activity.". Behavioural pharmacology 18 (1): 39–51. ^ a b Markowitz, JS; DeVane, CL; Pestreich, LK; Patrick, KS; Muniz, R (December 2006). "A comprehensive in vitro screening of d-, l-, and dl-threo-methylphenidate: an exploratory study.". Journal of child and adolescent psychopharmacology 16 (6): 687–98. ^ a b c Heal DJ, Pierce DM (2006). "Methylphenidate and its isomers: their role in the treatment of attention-deficit hyperactivity disorder using a transdermal delivery system". CNS Drugs 20 (9): 713–38. ^ Iversen L (2006). "Neurotransmitter transporters and their impact on the development of psychopharmacology". British Journal of Pharmacology 147 (Suppl 1): S82–8. ^ Miller GM (January 2011). "The emerging role of trace amine-associated receptor 1 in the functional regulation of monoamine transporters and dopaminergic activity". J. Neurochem. 116 (2): 164–76. ^ Volz TJ (2008). "Neuropharmacological Mechanisms Underlying the Neuroprotective Effects of Methylphenidate". Current Neuropharmacology 6 (4): 379–385. ^ Chan YP, Swanson JM, Soldin SS, Thiessen JJ, Macleod SM, Logan W (1983). "Methylphenidate hydrochloride given with or before breakfast: II. Effects on plasma concentration of methylphenidate and ritalinic acid". Pediatrics 72 (1): 56–59. ^ Froimowitz M, Patrick KS, Cody V (1995). "Conformational analysis of methylphenidate and its structural relationship to other dopamine reuptake blockers such as CFT". Pharmaceutical Research 12 (10): 1430–4. ^ Prashad M (2001). "Approaches to the Preparation of Enantiomerically Pure (2R,2′R)-(+)-threo-Methylphenidate Hydrochloride" (PDF). Adv. Synth. Catal 343 (5): 379–92. ^ Axten JM, Krim L, Kung HF, Winkler JD (1998). "A Stereoselective Synthesis ofdl-threo-Methylphenidate: Preparation and Biological Evaluation of Novel Analogues". The Journal of Organic Chemistry 63 (26): 9628–9629. ^ Singh S (2000). "Chemistry, Design, and Structure-Activity Relationship of Cocaine Antagonists" (PDF). Chem. Rev. 100 (3): 925–1024 (1008). ^ Panizzon L (1944). "La preparazione di piridile piperidil-arilacetonitrili e di alcuni prodotti di trasformazione (Parte Ia)". Helvetica Chimica Acta 27: 1748–56. ^ Meier R, Gross F, Tripod J (1954). "Ritalin, a new synthetic compound with specific analeptic components". Klinische Wochenschrift 32 (19–20): 445–50. ^ a b Myers, Richard L (August 2007). The 100 most important chemical compounds: a reference guide By Richard L. Myers. ^ Stolerman, Ian (2010). Encyclopedia of psychopharmacology. Berlin London: Springer. p. 763. ^ Terrance Woodworth (16 May 2000). "DEA Congressional Testimony". Retrieved 2 November 2007. ^ Green List: Annex to the annual statistical report on psychotropic substances (form P) PDF (1.63 MB) 23rd edition. August 2003. International Narcotics Board, Vienna International Centre. Retrieved 2 March 2006. ^ "Poisons Standard 2012 as amended made under paragraph 52D(2)(a) of the Therapeutic Goods Act 1989.". Therapeutic Goods Administration. 27 November 2014. Retrieved 28 June 2015. ^ Frances C, Hoizey G, Millart H, Trenque (2004). "Paediatric methylphenidate (Ritalin) restrictive conditions of prescription in France". British Journal of Clinical Pharmacology 57 (1): 115–6. Monson, Kristi; Arthur, Schoenstadt (2 May 2014). "Generic Daytrana". eMedTV. Clinaero, Inc. Retrieved 29 July 2015. "Product News: Launch Forecast". AndaMeds. Anda, Inc. Retrieved 29 July 2015. ^ Lakhan SE, Hagger-Johnson GE (2007). "The impact of prescribed psychotropics on youth". Clin Pract Epidemol Ment Health 3 (1): 21. ^ New Research Helps Explain Ritalin's Low Abuse Potential When Taken As Prescribed – 09/29/1998. Nih.gov. Retrieved on 30 April 2011. ^ Schoenfelder, EN; Faraone, SV; Kollins, SH (June 2014). "Stimulant treatment of ADHD and cigarette smoking: a meta-analysis.". Pediatrics 133 (6): 1070–80. ^ Ouellette EM (1991). "Legal issues in the treatment of children with attention deficit hyperactivity disorder". Journal of Child Neurology. 6 Suppl: S68–75. ^ NICE – Can methylphenidate be used for adults with attention deficit hyperactivity disorder (ADHD)? evidence.nhs.uk (4 July 2013). Retrieved on 5 December 2013.